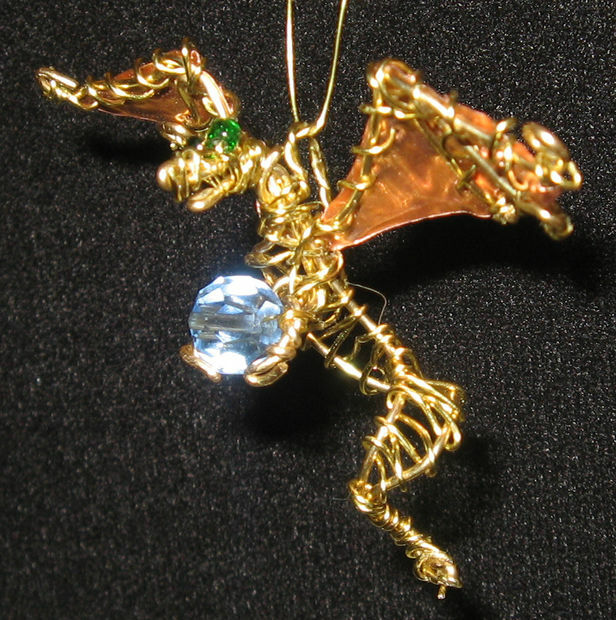 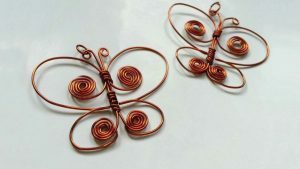 Wire wrapping is one of the oldest and fascinating techniques which when implemented on jewelry would give them a unique look. 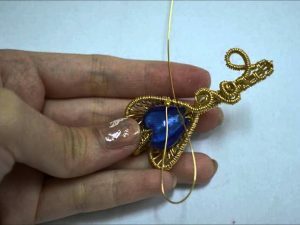 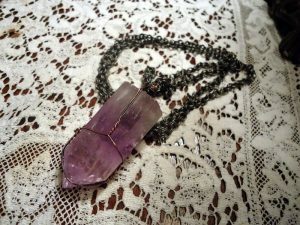 If you have learned the technique of wire wrapping then here are some magnificent DIYs for you to make some enticing pendants of varied shapes and designs with the stones you have at hand. 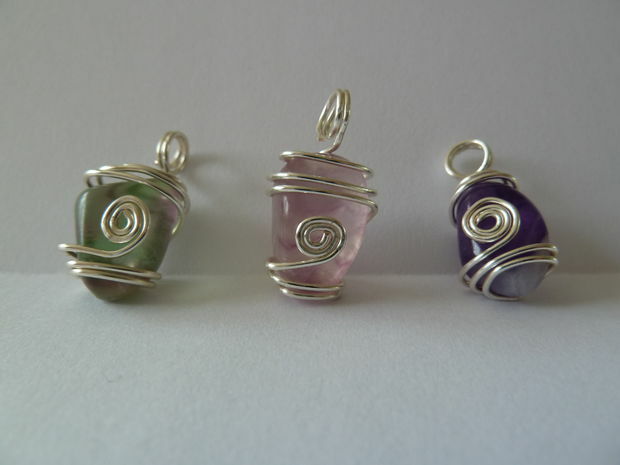 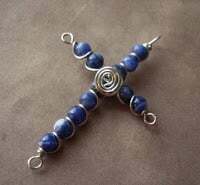 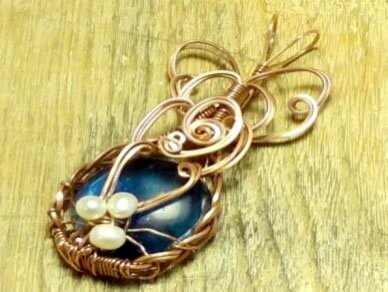 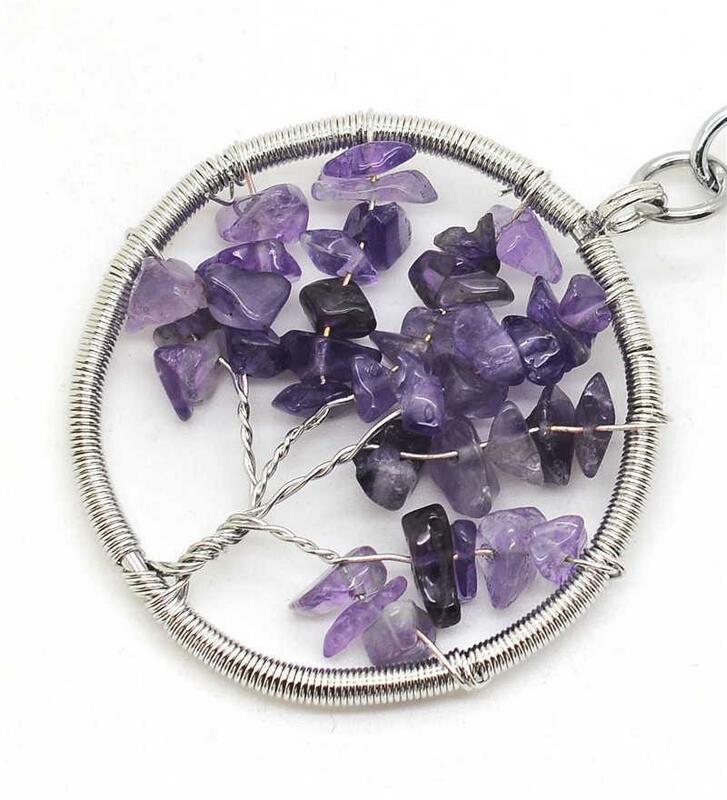 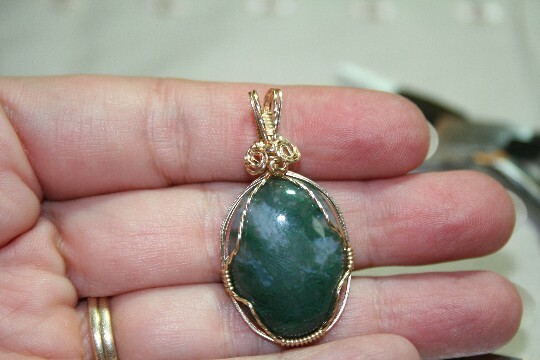 If you have a ruby, lapis, emerald, amazonite or any other gemstone, you can make cute pendants out of them by the art of wire wrapping similar to the picture given below. 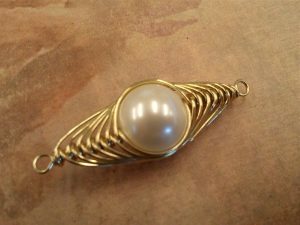 If you have a bigger teardrop bead, then you may wire-wrap the loop of the bail more than two times. You can gift your best pal this pendant on Mother’s Day with each of the stones inside the nest symbolizing the well-being of her children. 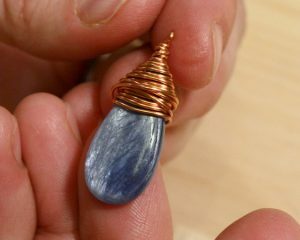 Wire wrapping this blue gemstone would give it an elegant look. 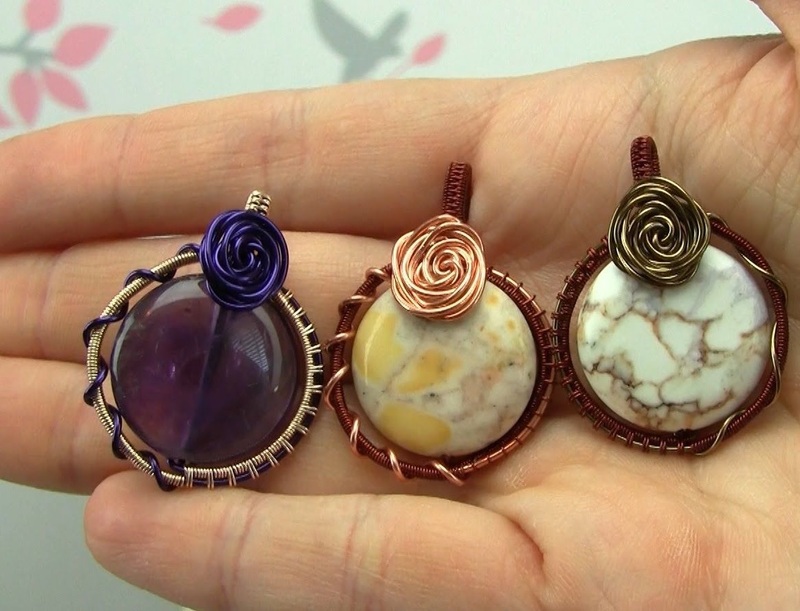 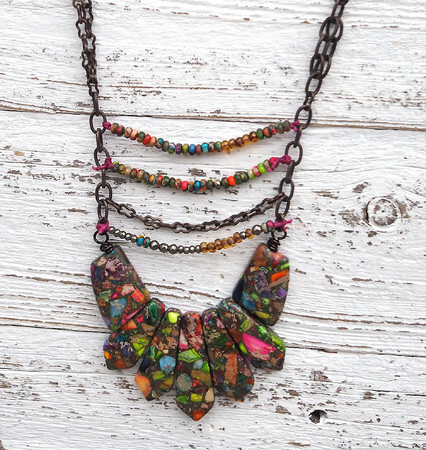 You can make many of these wire-wrapped pendants with the showy buttons you have. 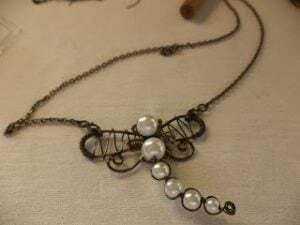 You can add more rungs to the ladder depending on the length of the necklace. 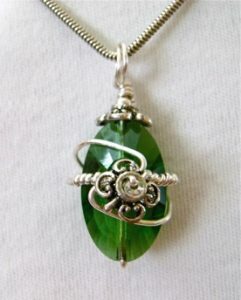 The cage-like design enhances the green pendant’s charm further. 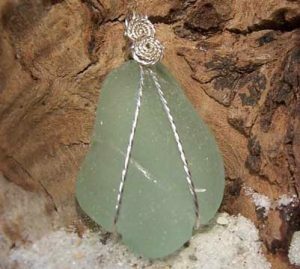 If you have a moldavite bottle green stone, you may wire wrap it in silver in the same manner shown in this picture for an enticing effect. A silver chain would go well with this stone. 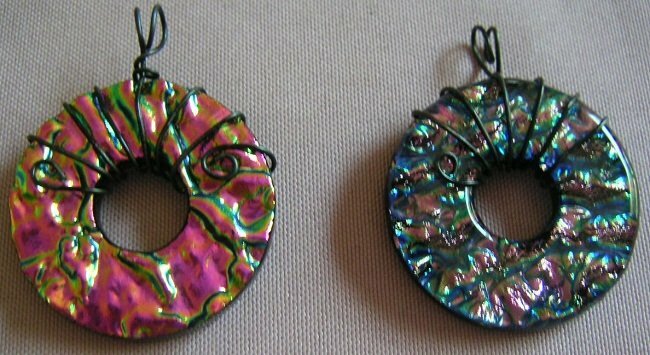 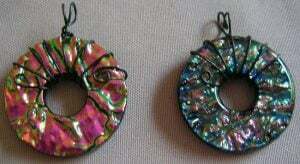 These yummy donuts would look great as pendants. 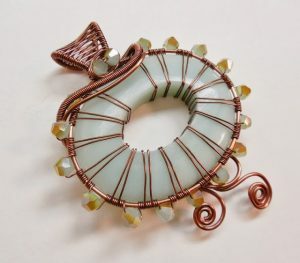 If you are making one of your kid, then choose a brown donut-shaped stone and embellish it with red beads. 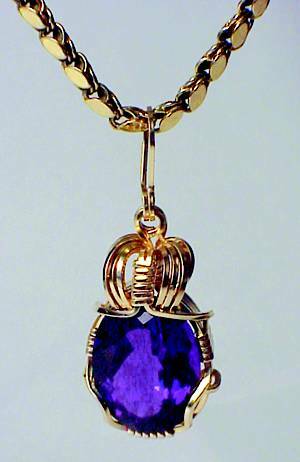 If you have a gorgeous cabochon stone, then make effective use of it by wire wrapping it and decorating the pendant with stones or beads. If you want to surprise your lady love, then toil hard and make this wire-wrapped heart pendant with pearls and beads as a Valentine’s Day gift. This key shaped heart pendant is also unique in appearance. 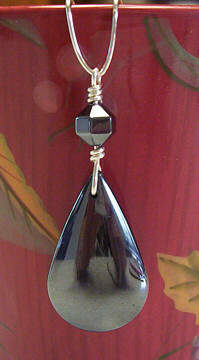 The beads adorning the sides of this dainty briolette look remarkably marvelous. 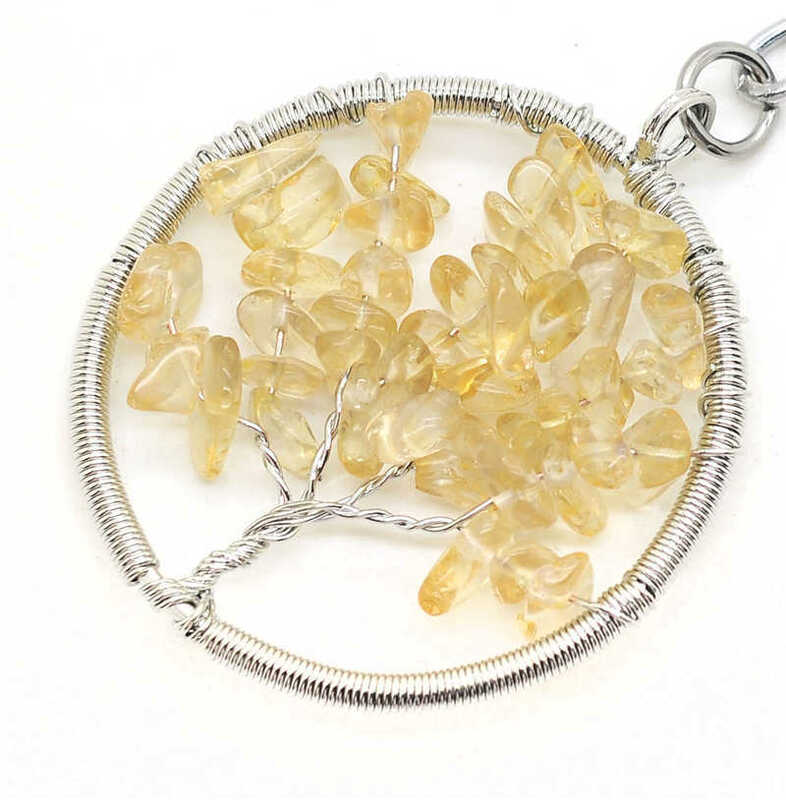 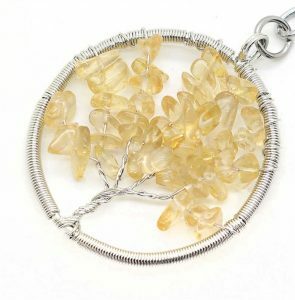 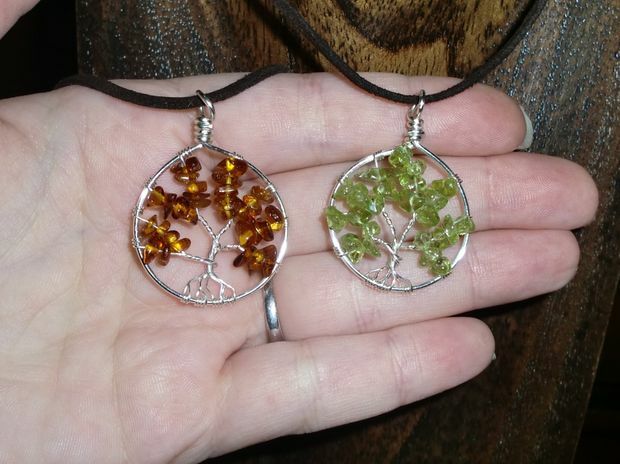 These tree of life pendants is an appropriate Christmas gift symbolizing peaceful harmony and the love of God. You may choose the stones according to your choices like the elegant amethyst or the dark citrine. 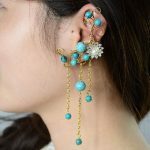 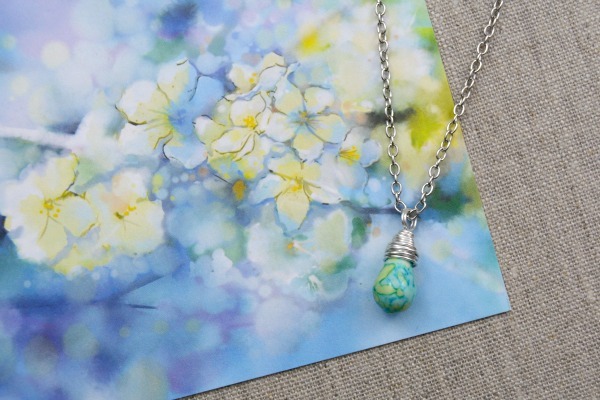 This cool aquamarine pendant wrapped in a wire is an ideal accessory choice for your teal outfits that you may frequently be wearing during summer. You can dip it in ash or black to give the pendant a masculine look. 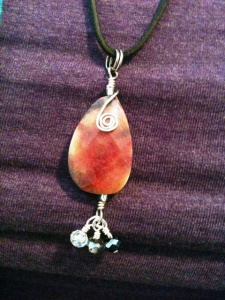 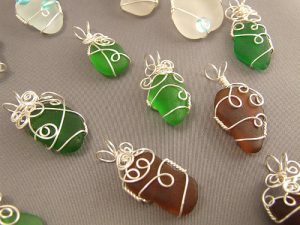 These red and green beach stone pendants are an ideal choice for Christmas gifts. If you have pendants of various designs like a leaf, you can wire wrap them by following the above instructions to give your jewellery an elegant look. 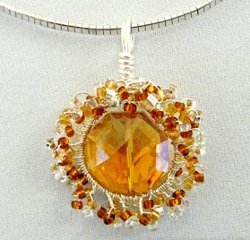 The yellow topaz stone gives the sunburst pendant a vibrant look. Make a lovely pendant out of the seashell that you picked up while walking along the beach. 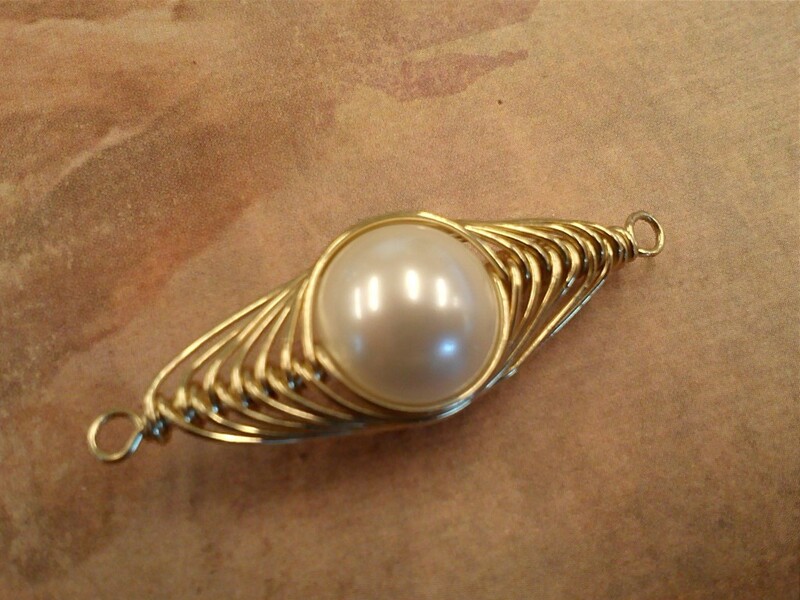 You can create any design with the wires on the shell. 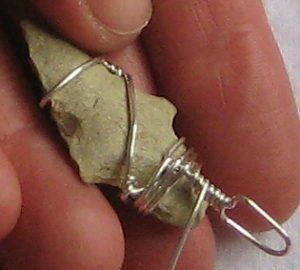 If you believe in the old tradition of wearing an arrowhead around your neck to protect yourself from any evil force, then wire wrap it and wear it as a pendant. 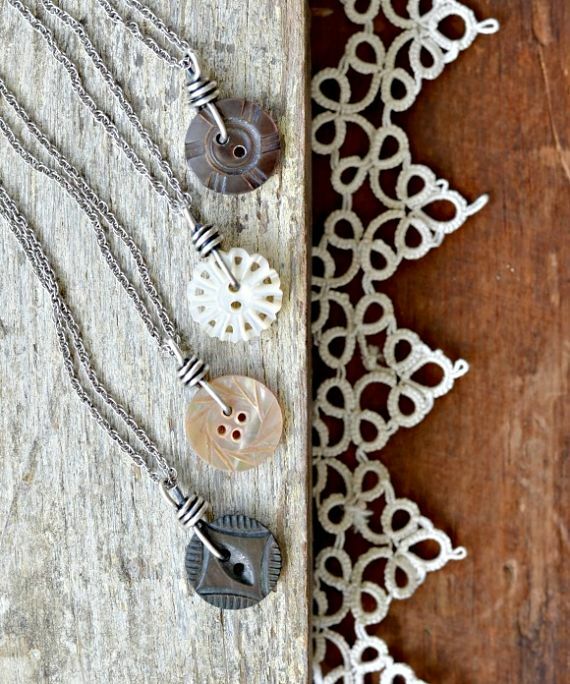 You can insert black and gray beads if you are planning to gift it to your kith and kin on Halloween. 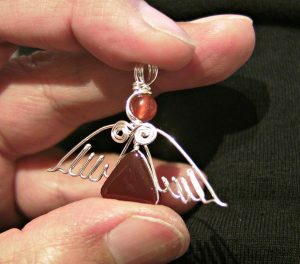 It would be a perfect baby shower gift, wishing the soon-to-be mother safety and well being of her yet-to-be-born child. 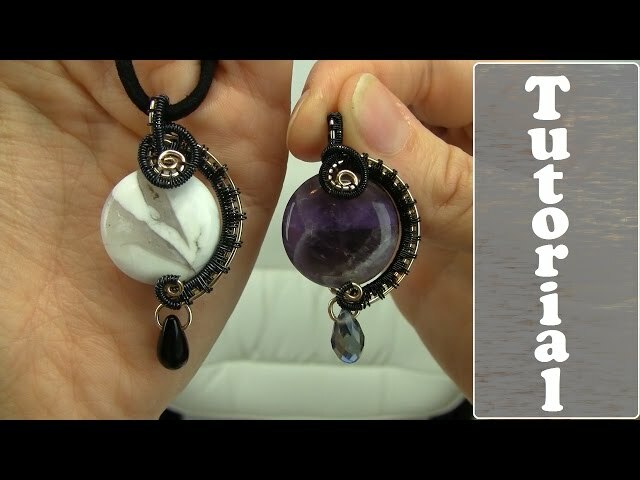 You can go for a different colored bail to contrast your pendant. 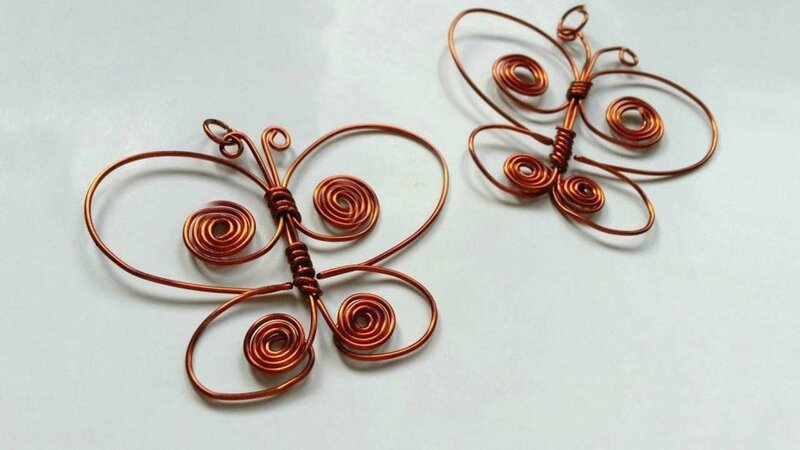 These cute little butterflies may be a perfect gift for your twin girls on their birthday. 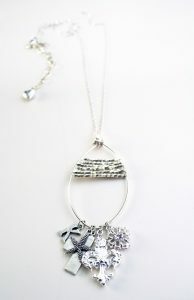 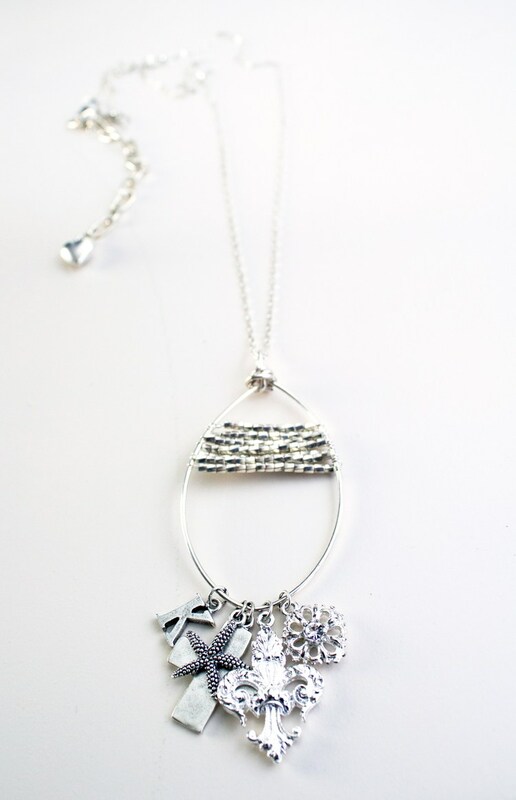 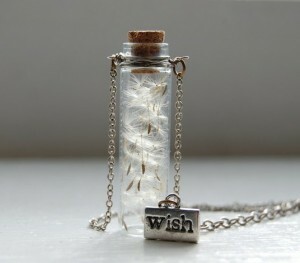 Choose a charm of your choice to personalize your necklace. 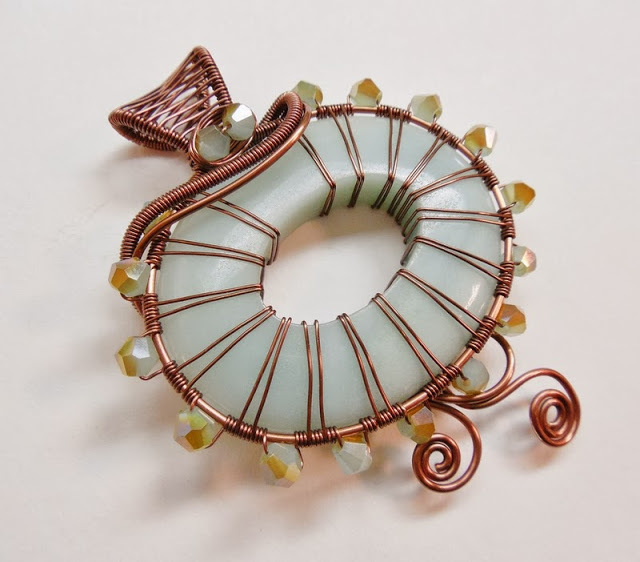 Make any attractive design with the wire. 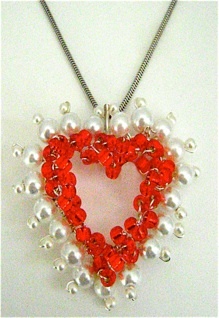 You can attach a red bow to it if you want to make it resemble the cute feline of “Hello Kitty”. The six pearl beads adorning the dragonfly makes it look even more graceful. If you find making the rose design a bit complicated for a simple flower. 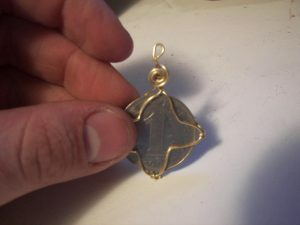 The blue aluminum wire denoting the body of the fish with the black brass wire signifying the head and tail makes it appear real. 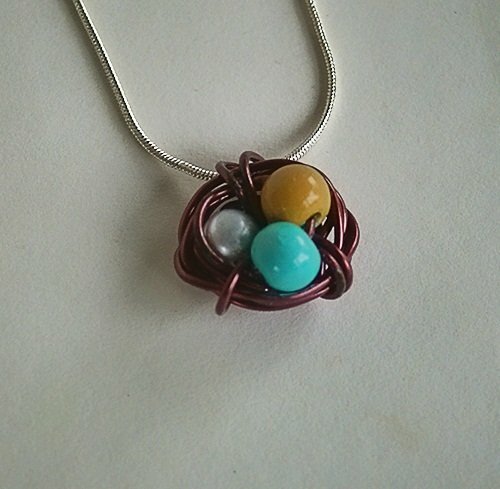 The herringbone pattern made with the wire gives the pendant a unique look. 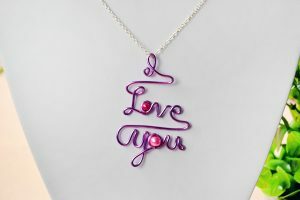 You can also make many such letter pendants by attaching the first alphabet of your beloved’s name. 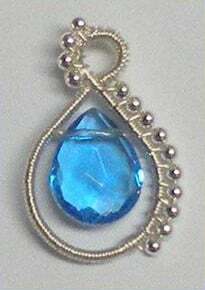 If you have a moonstone tear drop pendant,then you can wire wrap it and attach it to a long chain to wear with your sober white gown. 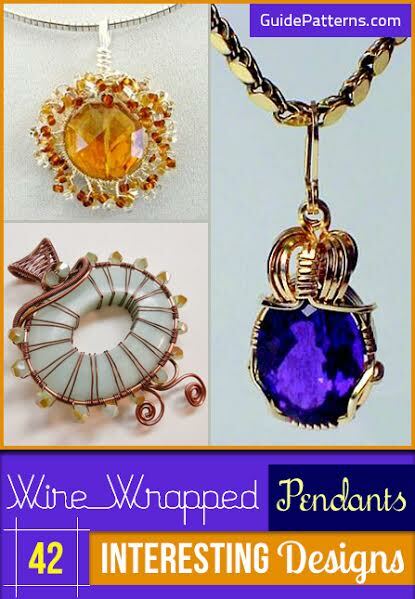 By using the wire of your choice (silver, gold filled, copper, aluminum or brass) of varied shapes ranging from round to square or even oval, you may make an array of pretty pendants for different occasions. 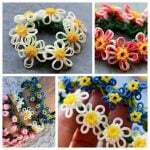 You may also try making wire wrapped rings, bracelets or earrings.